I have listed a new property at 5793 CARTER RD in Sardis. I have listed a new property at 10 46260 HARFORD ST in Chilliwack. Great 2 bedroom condo completely redone inside just over a year ago with 5 all new appliances, currently rented to a good tenant. Sorry, no dogs allowed. Ground floor unit with covered patio in a central location close to everything and own laundry. Low strata fees. Perfect for first time buyer or investor. I have listed a new property at 14 45615 TAMIHI WAY in Sardis. 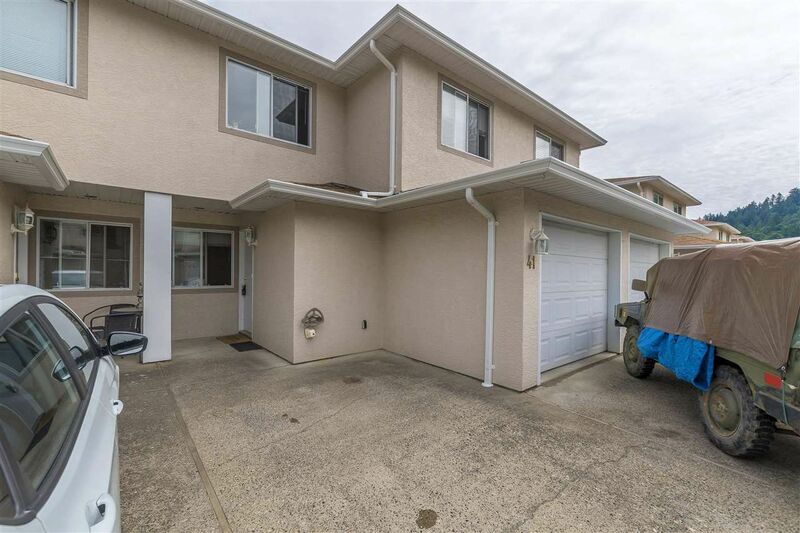 Your new home awaits, an awesome bright end unit with a nice side yard! 3 bedroom, 2 bath town home with a spacious floor plan, open concept living area on main and 3 bedrooms on the upper floor. Bright kitchen includes engineered quarz counter tops, and large island. Cozy fireplace, laminate floors and large balcony, garage with full length driveway, a large recreation room on the ground floor. Walking distance to Save-On Foods and other shopping, steps away to the Cheam pool and water park for kids and all amenities at Garrison Village. Your new home awaits, an awesome bright end unit with a nice side yard! 3 bedroom, 2 bath town home with a spacious floor plan, open concept living area on main and 3 bedrooms on teh upper floor. Bright kitchen includes engineered quarz counter tops, and large island. Cozy fireplace, laminate floors and large balcony, garage with full length driveway, a large recreation room on the ground floor. Walking distance to Save-On Foods and other shopping, steps away to the Cheam pool and water park for kids and all amenities at Garrison Village. I have listed a new property at 41 5536 VEDDER RD in Sardis. Please visit our Open House at 45256 CREEKSIDE DR in Chilliwack. I have listed a new property at 45256 CREEKSIDE DR in Chilliwack. I have listed a new property at 115 45504 MCINTOSH DR in Chilliwack. 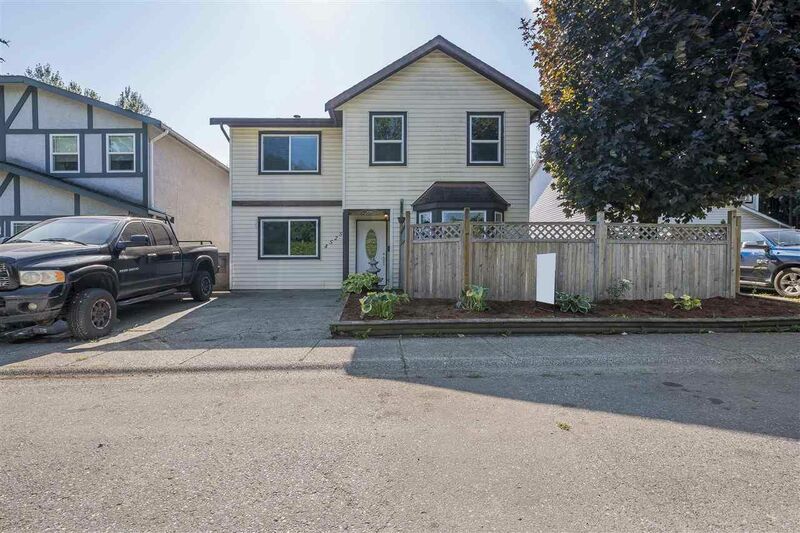 I have listed a new property at 9111 HAZEL ST in Chilliwack. I have listed a new property at 22200 TRANS CANADA HWY in Hope. Excellent value here, unique 8.5 acres property with 6 rental homes (always rented), only 5 mins from downtown Hope and 8 minutes from the new proposed All Season Ski Resort. Very unique park like setting with large fir and maples trees, nice large lawn area. Two bay 32 x 30 shop. Gross monthly income $4,400. Please visit our Open House at 26 45085 WOLFE RD in Chilliwack. I have listed a new property at 26 45085 WOLFE RD in Chilliwack. I have listed a new property at 33 5805 SAPPERS WAY in Sardis. Good value here. Your own little private valley. Unique property 8.5 acres with no neighbours. Just before the Lake Of The Woods and only 5 mins to Hope town center. Very private area with large fir and maple trees and large lawn area. Park like setting. Has 6 rental homes on property, 1 - 3 bedroolm, 2 - 2bdrm, and 3- 1 bdrm, with 3 out buildings and 32 x 30 2 bay shop. All units are rented, never any vacancies. Gross monthly income $4,400. I have listed a new property at 45772 SAFFLOWER CRES in Sardis. Great location, Great home, Located in central Sardis, close to everything including, shopping, golf, all levels of schools. Comes with 4 bedrooms up for the larger family with a full unfinished basement, which is all ready for a suite, either 1 or 2 bedroom, or theater & family room. The low mainteance yard, a seperate 2 car garage as well as a heat pump for your heat and air condtiioning needs. Call today for your private viewing. Please visit our Open House at 45772 SAFFLOWER CRES in Sardis.